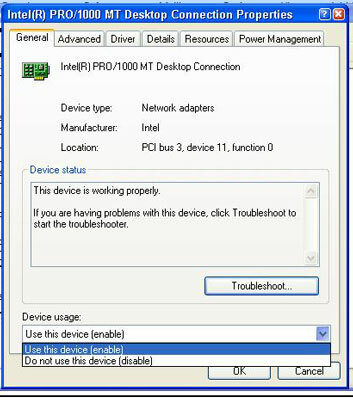 If your laptop has built-in WiFi but you add a new adapter that connects through the PC Card adapter or a USB port, you will need to remove or disable Windows drivers for the original unit. You should also make sure that you turn off the switch for the built-in unit to save battery power and to avoid the possibility of interference. Go to the Windows Control Panel. The System Properties panel appears. Click the + next to Network Adapters. 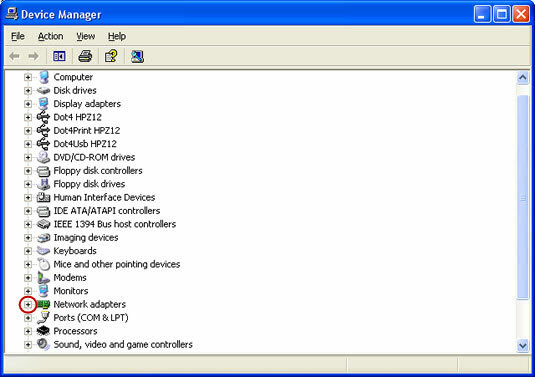 The hardware managed there appears in a list. Click the Device Usage drop-down arrow. Select Do Not Use This Device (Disable). 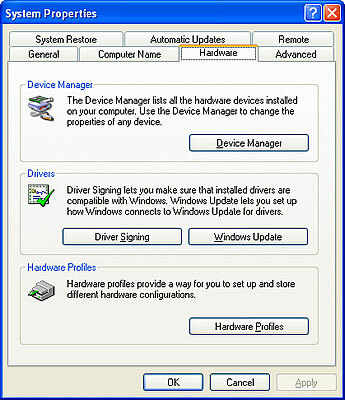 This instructs Windows not to use the drivers associated with it.